The Colour view’s basic mode only shows the Colour list. When you open Toon Boom Harmony, you only see the colours available in the default palette. This default palette contains six basic colour swatches and is automatically named the same as your scene. For simple projects, you can manage with the default palette, but for movies, series or shorts it is recommended that you create palettes for your characters. 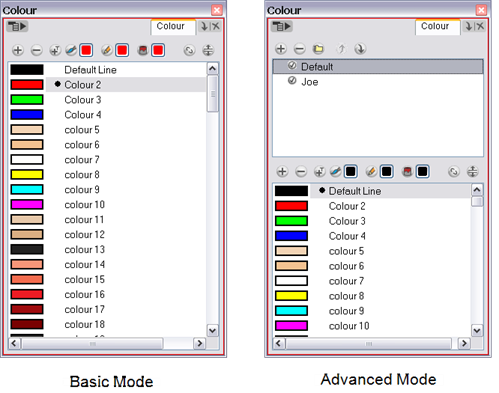 To create a palette, you have to switch to the advanced display of the Colour view and show the Palette list.